"Tokamak the Human Reactor" first appeared in a 1983 pulp from DC Marvel. It was adapted in French in 1986. Igor Golovin (1913-1997), the Russian physicist who coined the acronym "tokamak" in the late 1950s, certainly did not imagine that a half-century later the word would appear in comics, novels, and on record jackets. "Tokamak" these days seems to be everywhere. A couple of weeks ago we introduced you to Tokamak, a local rock band. We soon found out that at least two other musical formations had adopted the same name: a "jazz fusion" group in the UK and an "American sound" combo from Brno, in the Czech Republic. "Tokamak" is also the name of a record label in Barcelona and there is a concert operator in Russia who goes by the name "Tokamak Sound System." In the realm of novels and comics, "tokamak" is fast becoming a household name. Who started it? Our research points to DC Comics, one of the largest and most popular American pulp publishers. In 1983, they created a supervillain character named "Tokamak, the Living Reactor" whose body is filled with radioactive energy and must be contained in a confinement suit. 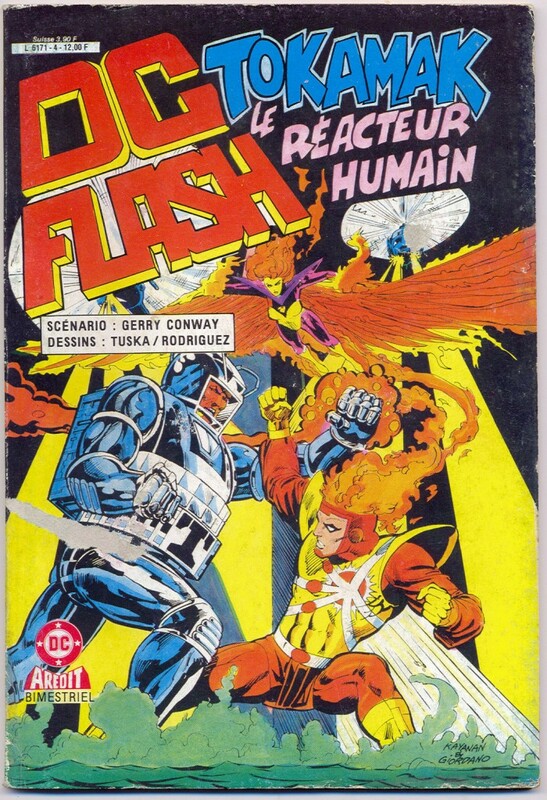 A French version of the series—"Le Réacteur Humain"—was released in 1986. In 1998, "Universal War One," a six-part French comic book series, anticipated the construction of the first industrial fusion plant in 2043. In 1998 "Universal War One," a six-part French comic book series, anticipated the construction of the first industrial fusion plant by the Tokamak System Consortium in 2043. The space-opera series was later translated and released in English by Marvel Comics. The third volume of "Zener's Curse" depicts a vacuum vessel so large a Jeep can ride around the machine's central solenoid coil.